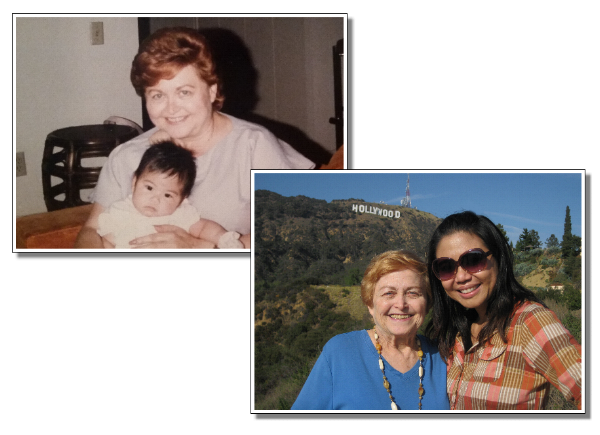 Remembering Grandma… – It's With a "K"
Others could call themselves lucky to have any of their grandparents around. I was fortunate enough to have three sets of grandparents. My grandparents were around for my parents when they first migrated to the United States from the Philippines. When my mom asked if she could call my grandma “Mom” it became official. My grandparents were around for every possible milestone in my life, and it pains me that my grandma won’t be around for my remaining milestones. Both my grandparents had their share of heart problems last year and it’s quite a miracle she made it as far as she did. Aside from having a leaky mitral valve, she had been dealing with diverticulitis for a long time. Because of both of those conditions, either surgery was really not the best option. Since she passed about three weeks ago, I’ve done a lot of reflecting and reminiscing. I’m so grateful for all she’s done for me and my family since day one. Things weren’t always sunshine and roses, but that’s true for ALL families. But no matter what, my grandma was always there for me. She and I always bonded over who can tie in an “I Love Lucy” scene to whatever was going on in our lives. My grandma had an affinity for “I Love Lucy”, Turner Classic Movies Channel, and QVC. Along with my Lola (my maternal grandmother), she was one of the most careful people with the food she ate. But don’t get me wrong, she loved the naughty foods like Mom’s egg rolls, McDonald’s Chicken Nuggets, and Burger King Whoppers, but those were rare treats she consumed with so much gusto. She was the ever-so-reliable back seat driver – even though she drove for only a few years in her early days. She remembered and noticed every little detail – like when I cut my hair an inch…you bet she noticed. She always made jello with cut up slices of bananas at the bottom. These are just a few things that come to mind. I miss you greatly, Grandma. I’m positive you’re in a much better place, partying it up with my biological grandparents. You fought the great fight, and fought it hard. I love you. You will always be in my heart.